At Santa Fe Dental, our Edmond, OK dentists not only care about our patients, our doctors also care about the people everywhere who don’t have access to the dental care they desperately need. That is why Santa Fe Dental’s own Dr. Michael Hansen volunteers his time and medical expertise to help those in need. 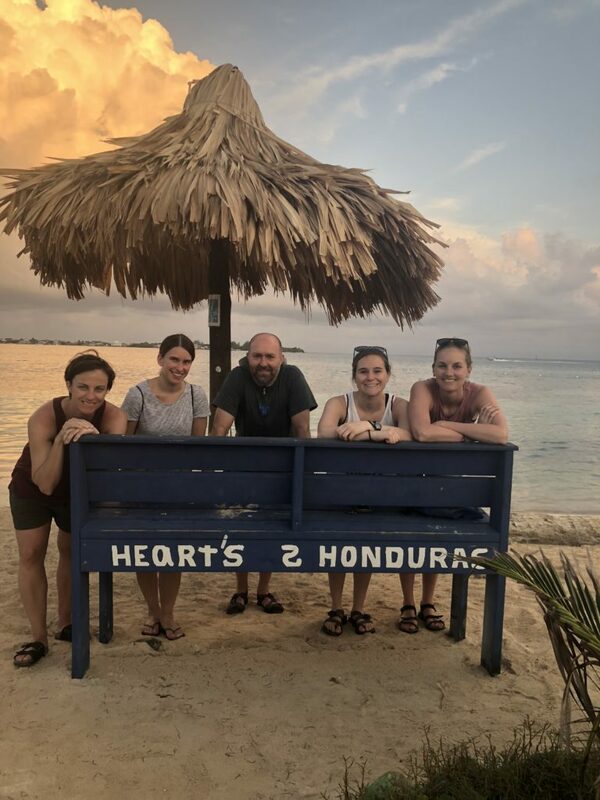 This year Dr. Dr. Hansen traveled to Honduras with an organization called Hearts 2 Honduras, bringing doctors together to treat those without access to consistent, quality healthcare. This great Medical Mission organization set up a clinic in the poorest neighborhood in Utila, an island in Honduras, to provide needed medical care to individuals in the community. The founders of Hearts 2 Honduras share their story of how the organization was founded after a fateful trip back in 2010. Dr. Hansen was fortunate enough to again travel to Honduras this year with Hearts 2 Honduras to open a clinic for the three days in April, from the 26th through the 28th, where he saw and treated over three-hundred-fifty patients. Around fifty of those Dr. Hansen saw were dental patients. Led by Dr. Hansen, the H2H team extracted approximately two-hundred teeth from patients that were the source of an infection or the cause of poor health. This year, Dr. Hansen was excited to bring along silver diamine fluoride, a topically applied medicinal tool used to treat and prevent cavities and relieve dental hypersensitivity. Hansen worked with nurses to apply the fluoride to help improve the long-term oral health of the patients that were treated. Together as a team, they treated nearly five hundred mild-to-moderately decayed teeth with the fluoride. Silver diamine fluoride is commonly used to treat dental carries in pediatric patients (children) and special needs patients, as the ADA highly recommends this type of preventative treatment. Dr. Hansen’s hope is that they will be able to continue to apply the fluoride as time goes on in Utila, with the idea being to completely stop the progression of cavities that have already been treated. By preserving more teeth in the overall community, Dr. Hansen hopes that future trips to Utila will result in the removal of fewer teeth. Overall, Dr. Hansen considered this year’s trip to Honduras an enormous success. “This was an extremely rewarding experience. We had a great team this year,” reported Dr. Hansen about his trip to Utila. At Santa Fe Dental, we could not be more proud of Dr. Hansen’s work. Check out more photos of Dr. Hansen’s trip to Honduras on our Facebook page.